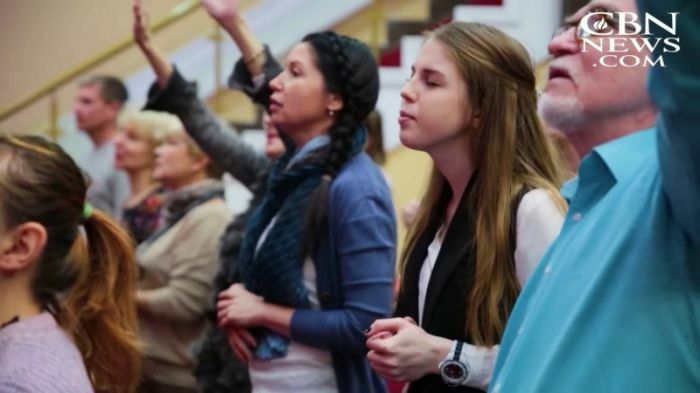 Anti-missionary crackdowns in Russia are increasing and largely targeting Christian Protestants, a human rights group has warned, with two African students recently being told they will be deported for participating in worship videos in Nizhny Novgorod. The Federal Security Service of the Russian Federation fined the students' Pentecostal church, Jesus Embassy, while the students themselves were told they must leave the country by the end of the month, Forum 18, a Norway-based group promoting religious freedom reported on Monday. Pentecostal Union lawyer Vladimir Ozolin said that charges of illegal missionary activity, apparently over videos of worship services that the students appeared in, are "completely unlawful," however. "I would like to hope that the cases were initiated by the stupidity of the siloviki, otherwise this greatly undermines the authority of Russia in the international arena," Ozolin added, referring to security agent authorities. Forum 18 detailed that a number of other Protestants in Nizhny Novgorod have been targeted since the adoption of the "anti-missionary" law in July 2016, which the Russian government has claimed is aimed at tackling terror activities. The law has banned people from sharing their faith in any place that is not a government-sanctioned house of worship and has led to the arrest of some Christian leaders. Ozolin said that, according to court documents, 50 regions in Russia reported infringement of the anti-missionary laws in 2017, with Nizhny Novgorod accounting for eight separate investigations. Lawyer Aleksey Vetoshkin, who has been involved in several recent cases, told Forum 18 that the FSB has had a particular interest in Jesus Embassy itself and Protestants in general. "After this pressure, the number of African parishioners has fallen from 150 to 20," Vetoshkin said back in May. Other lawyers, such as Vasily Nichik, noted that it is difficult to understand how officials interpret the anti-missionary law, though foreigners in a number of regions have been deported for engaging in religious activity. "I understand that behind the whole persecution of Protestants is someone from the leadership of law enforcement agencies. Who? It is difficult to answer this question unambiguously," Nichik said last week. "If a highly intolerant person enters the power structure, then he sees enemies in everyone and begins to construct schemes to restrict freedoms and persecute [people] for dissent. Such a type has probably ended up in the leadership of law enforcement agencies in the Nizhny Novgorod Region." Nizhny Novgorod is one of the host cities for the ongoing 2018 World Cup in Russia. The massive soccer tournament, attracting millions of fans from around the world, has presented opportunities for evangelistic campaigns, despite what faith leaders say is a crackdown on evangelism. "We have an unprecedented opportunity in the next few weeks as Christians around the world join us in praying that God will use this campaign to reach many people with the Gospel to extend His Kingdom," Sergey Rakhuba, president of Mission Eurasia, said earlier this month. The group said that 400 churches have joined its outreach efforts, looking to distribute 600,000 pieces of Scripture during the monthlong tournament.